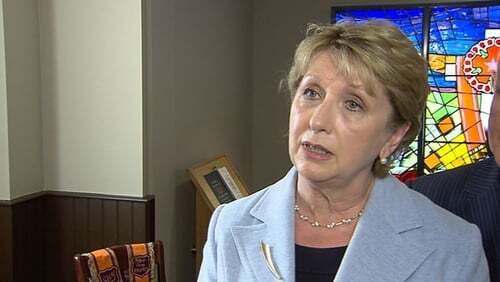 Former President Mary McAleese has written to Pope Francis after the Vatican declined to approve her and two other speakers who are taking part in a conference to mark International Women's Day on 8 March. The Voices of Faith conference has taken place inside the Vatican for the past four years. This evening, the Archbishop of Dublin Diarmuid Martin said that neither he nor his office were consulted by the Vatican in relation to the list of speakers for the International Womens Day event. In a statement, Archbiship Martin said the first he heard that a decision had been made to exclude former President Mary McAleese from the speakers for the Voices of the Faith conference was from Mrs McAleese herself. After failing to receive approval for the three speakers, the Fidel Gotz Foundation - a Catholic philanthropic group who organised the event - decided to move the conference to another location. The names of potential participants had been submitted to Irish-born Cardinal Kevin Farrell at the Vatican. Mrs McAleese has challenged the Holy See on a number of occasions, including the Holy See’s policy on contraception and on recognising catholics who belong to the LGBT community.